Question 6 - My child's teacher said something about a "Split E" -- what exactly is this? 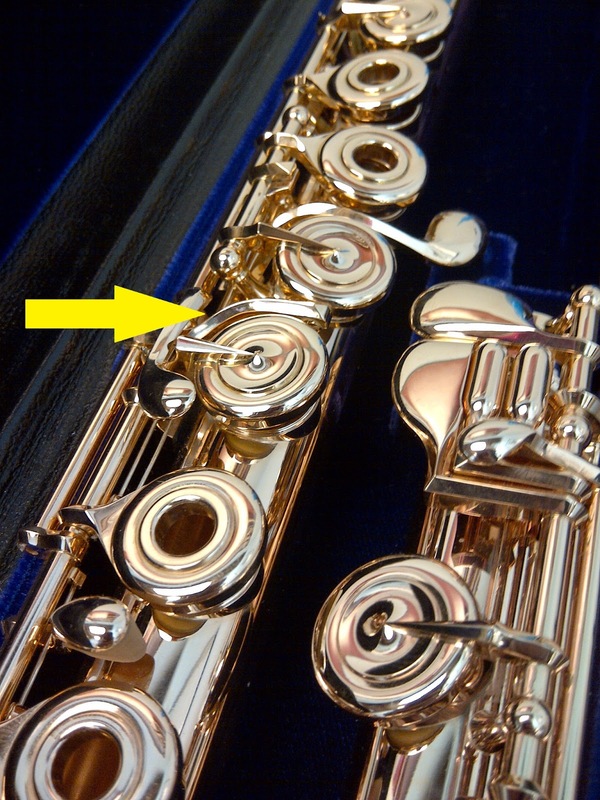 Split E mechanism: Some flutes come standard with this feature, while others will have this option available for an additional charge. 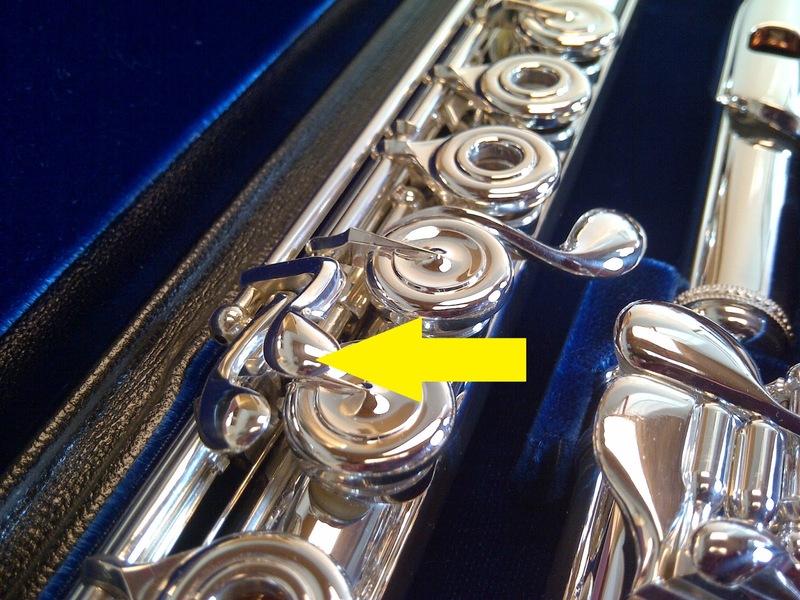 This feature is an additional mechanism to the flute itself which involves extra key work. Split E is used to help with the response to achieve a high register E without cracking. Some players find this useful, while others do not like the additional weight it adds to the flute, the slight difference in intonation (the mechanism tends to flatten the higher register notes), or the additional key work associated with it. Step Up flutes are only available with the split E mechanism if the flute has an offset G.
Question 7 - What is the C# trill key? C# trill: the C# trill is another mechanism that is added to the flute to make the higher register trills much easier. If you are going to audition for top orchestras in the country or be a professional player, this feature is a must have. 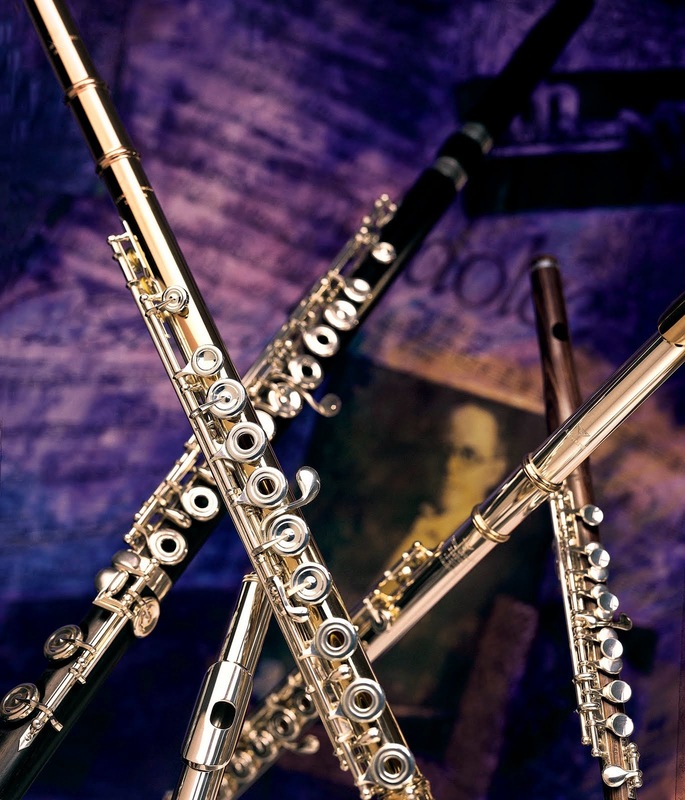 If you find a flute you like that meets your budget and has a C# trill mechanism, it is a worthwhile investment. You cannot add the C# trill mechanism to the flute once it has been built. Most step up flutes do not have this as an option, however, more and more manufacturers are recognizing the advantage and are including them on their intermediate flutes. As you can see, there are many different options available for a step up flute. The best advice is to set a budget and then have your child try as many flutes in that price range as they can. Using the assistance of a trained professional in the decision making process is crucial. Your child's teacher is a valuable resource -- after all, they are the ones most likely making the recommendation for a better flute, and they know your child's potential the best.